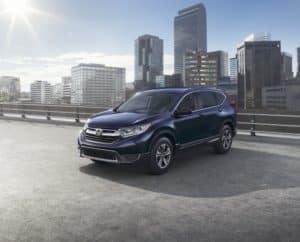 Being torn between the 2019 Honda CR-V vs. Toyota RAV4 can be a tough choice when in the midst of finding the right midsize SUV. Each vehicle offers a lot to their drivers, but you’ll want to carefully consider these models to see how they differ and which one seems like the best pick for you. 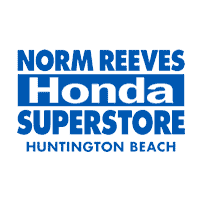 At Norm Reeves Honda Superstore Huntington Beach, we’re here to help. We’re going to compare the CR-V vs. RAV4 to show you the similarities and differences so you can determine which one is right for you and your trips around Huntington Beach, Westminster, and Orange County. Having the right in-cabin features can really be a life saver during traffic jams during your morning commute. Both of these vehicles include dashboard-mounted displays that are used to select your audio entertainment. Both the RAV4 and CR-V include radios, auxiliary, and USB inputs for portable media devices, along with Bluetooth®. The Bluetooth® allows for both hands-free phone calls and even audio streaming through the respective sound systems. There are two components that the 2019 CR-V includes that isn’t featured with the RAV4. The Speed-Sensitive Volume Control is a feature that adjusts the audio levels during loud engine performance. The CR-V also includes Pandora® compatibility, which provides access to thousands of internet radio stations that can be customized. Each of these crossovers offers up plenty of space for their respective cabins. The Honda CR-V leads in overall cabin space with 105.9 cubic feet. The RAV4, on the other hand, has its passengers slightly cramped at 98.9 cubic feet of cabin space. The difference in space is noticeable between the respective front and rear head- and legroom, but the biggest disparities in space revolve around their cargo areas. The Honda CR-V includes 39.2 cubic feet behind the second row while the Toyota RAV4 features 37.5 cubic feet in the rear of its cabin. Both vehicles are equipped with the 60/40 split rear bench, which allows the rear seats to be partially or completely folded to make more room for cargo. When the rear seats are completely folded down, the CR-V offers 75.8 cubic feet and the RAV4 only offers 69.8 cubic feet of total cargo space. While both vehicles have their own respective styles, the CR-V tends to stand out a little more. It has a more adventurous appearance with its refined front end and curvaceous fascia. The RAV4 recently when through a redesign. However, the redesign makes the RAV4 simply blend in with every other midsize SUV in the class. For style, the Honda CR-V holds true to its own. 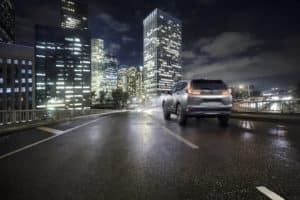 At Norm Reeves Honda Superstore Huntington Beach, we hope this CR-V vs. RAV4 comparison gave you a strong sense of what these vehicles offer to their respective drivers. But while you’re now aware of what they include and the notable advantages that the CR-V has, you can also benefit from learning more. You’re always welcome to drop in for a closer look, or you can simply get behind the wheel! Schedule your test drive with us at Norm Reeves Honda Superstore Huntington Beach! We’re here to help drivers in Huntington Beach, Westminster, and Orange County find the vehicle that’s perfectly suited to them!